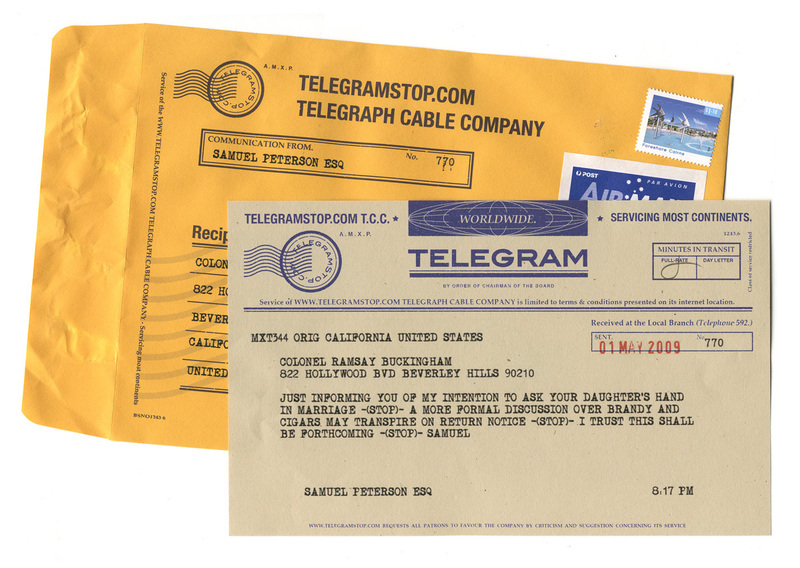 Telegrams -stop- The lost communication? Electric telegraphy is form of communication which began consistent and worldwide innovation in the 1830’s. If you have ever watched an old movie, it was the classic way to send word of a scene changing moment. Telegrams brought tragic news of a loved one to a family or portrayed a swoony leading man providing the details for a dinner date to his leading woman. The word “telegraphic” actually means “short” or “terse”. It was initially an unemotional way to send the facts, in a quick and direct nature that initially utilized morse code for practical purposes. Innovators and scientists throughout the world can be credited for creating this early form of communication. So many developments in such a short period of time were born of this invention, starting from beekers with coils and chemicals to ultimately creating the earliest form of fax machines. Though we use telegraphy today, through higher technological avenues such as e-mail or text messaging, the first telegraphy outlet was quite slower and delayed any sort of immediate response. Though the traditional paper telegram business has gone by the wayside, there are now websites that allow you to join in on the old-fashioned fun. Just as there is something special about receiving an unelectronic birthday card in the mail, it can be exciting to experience something like a telegram, which was such a common and relevant piece of communication for well over a hundred years. Check out http://telegramstop.com/which allows you to recreate the traditional telegram. Having used them myself, I was quite impressed with their effort to make it look quite authentic. For those of you who are just simply too high tech, they also have an iPhone app. Though they did raise their price in the last few weeks, for $6.45 it’ll make you want to pack your steam trunk and hop a train into the past. Here in 2011, we are a paranoid society. We also tend to be gullible and believe every new study and every statistic the news tells us. Being a news junkie, it is hard to decipher sometimes what information can be taken with a grain of salt. Then I wonder, should it be sea salt? But what if I don’t get enough iodine? It’s all too much. My Great-Grandmom passed away a couple of years ago, at the age of 97. I learned so much from her, not necessarily through our conversations but by observing her habits. Obviously, by the time I came along, her life had a routine to it and the news blips about nutrition were most likely not going to sway her longstanding habits. To be perfectly honest though, growing up in an anti-bacterial obsessed society, every now and then I got a little worried, secretly of course. The woman never refrigerated her ketchup, butter or mayonnaise. Expiration dates were nothing to be concerned with and fruit didn’t need to be washed. Depending on how many visitors filtered through her guest stash, my Pepsi can could reflect a Christmas theme from the year before. But Grandmom would never lead us astray. She ate what she wanted, when she wanted, but in moderation. Stroehmann white bread was truly a staple, served with most suppers. No whole wheat here. She sprinkled sugar on her corn flakes (real sugar) and enjoyed bacon or scrapple with fried eggs regularly, when the mood struck, and always with a morning cup of coffee. She loved to nibble on sweets too. Grandmom was to me, the epitome of moderation and hardworking character. She didn’t go out of her way to do anything that the news obsessed over. She never got a flu shot even. She did leg lifts every morning before she rose. She lived out in the world as long as her knees would allow her to roam. She enjoyed the little things that made her happy, all the while not dwelling on the million little rules we’ve let consume our lives, even when it came to age. That’s probably why no one believed her when they heard she was nearing 100. Her habits and self-sufficient ways of life are part of the inspiration behind this blog…coming soon, my attempt to can my own jam. She’d be so proud. My time is coming. I sure hope I fall into the category that Jane speaks of. I’d like to think I have a good chance of aging well because of genes. I think my Mom and her lineage have had pretty admirable wrinkle-free skin, and my Dad’s skin is handsome as well. I could say the Irish/German/English lineage has done wonders, but that would be a crock. I’ve seen what Irish wind and weather does to the skin. I have implemented many of the mainstays that my family has, for years. Though I’ve tried many fancy new alternatives along the way, I always go back to the same routine. Simple, tried and true habits are pretty darn effective. ALWAYS remove your make-up at the end of the day. Seems obvious, people don’t do it. Oil of Olay – every morning and night. Daily sun protection, even if just your hands and face see daylight in the offseason. Try Witch hazel or something more organic on breakouts, etc. Don’t pick/scratch at yourself. So hard if you’re a picker. Rose salve – miracle for anything that needs fixin’ on the go; lips, cuticles, burns, etc. I know you love your doggie, but don’t let him lick all over your face. Or anyone for that matter. Let loose…no sleeping in undergarments. Take the stairs when the opportunity arises. Wear sunglasses or a hat in the sun. Don’t eat while standing up. The fat goes to your legs. – Ok, this is not true, but I was told this as a child and I think it’s hilarious. I feel as though I’ve lectured you. But, you’ll have to tell me if you end up going to bed in just gloves.